Summary: Whether your furniture is beat-up or you simply want to change things up, there are some tips you should keep in mind when looking for new outdoor furniture pieces. 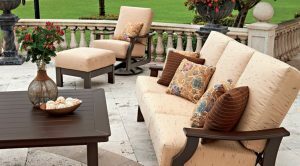 Buying new furniture for your outdoor patio can be an overwhelming task without a proper plan of attack. 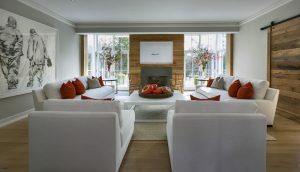 A good way to approach decorating is coming up with a theme or aesthetic that you would like to express. For example, when the items in a room, from the couches and chairs all the way to the coasters on the coffee table, fit a particular color scheme or have similar designs, the room, as a whole, looks more welcoming and put-together. The same applies to your outdoor patio as well. Too many clashing components can impact the overall vibe given off by the patio. To combat this, approach the design phase with the intention of making sure each item contributes to the theme you are creating. While function may be more important than form, in most furniture-related cases, aiming for a coherent vision will ultimately help the overall image. Regardless of whether your furniture has experienced wear-and-tear or you want to remodel to keep things fresh, you need to be wise when deciding which pieces to purchase first. 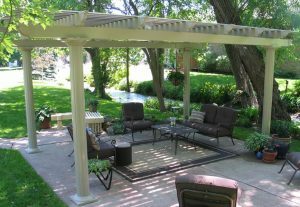 Look around your patio and make note of the replacements that are the most urgent. Remodeling it does not need to be a large overnight project. In fact, it might be wise to not even think of it as such a quick and drastic change. Focus on purchasing high quality basic pieces of furniture first, whether it’s a couch or a table that fits the theme you are going for but is not too visually ‘loud’ – don’t forget to verify it’s meant for outdoor use. Higher quality pieces may have a larger upfront cost, it is worth keeping in mind that a higher quality item may not need to be fixed or replaced as quickly as a cheap, inexpensive one. Versatility is key, because high quality pieces that will last can work with a variety of different themes and last you quite a long time. Knowing where to shop is just as important as knowing what to look for. When experimenting with a different look and feel to your patio, you do not want to immediately splurge on many furniture pieces. Certain stores offer a wide variety of budget-friendly options that both look good and will not hurt your wallet. 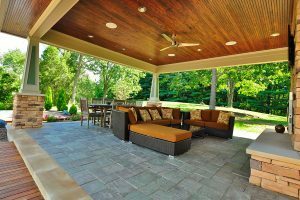 Be sure to consider what shops are experts when it comes to exterior patio design. The more you experiment the more you will understand which sorts of pieces, colors, or designs you tend to gravitate towards. Branching out and going for more expensive items will not be as big of a risk, because you will know how to incorporate them into your home and you will be certain that you will enjoy it. Blog submitted by The Foam Factory. The Foam Factory offers a wide array of foam products such as dryfast foam, memory foam, and more. Visit them online today. When you’re working with a lot of wood, like an amateur or semi-professional furniture maker, you’ll have to figure out an effective way to store it. If the wood hasn’t been dried properly, or moisture accumulates during storage, you’re going to find working with it pretty rough. Once you figure out how to deal with wet wood, you’ll be ready to dip into storage to get all the parts you need for your next project. The first thing to understand about wood is that it works a lot like a sponge. If you pour water onto it, it’s going to absorb that water over time. 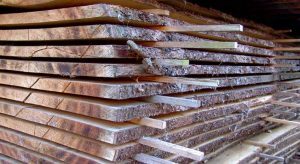 If the wood is wet, it will rot or warp over time and cause major problems for you when it’s time to build. That’s why you should stack wood boards atop one another with spacers in between. The spacers allow for a light breeze (also important) to cool and dry out the wood as it sets over time. If you’re going to store the wood indoors, like a shed or a garage, then you will inevitably have wet wood when it comes time to work. How do you avoid this problem? The solution is simple! Heat is needed to dry out the wood, so a little bit of heat and air will eventually dry the wood out. Maybe, before you start working, take the wood from the shed and store it in the shade where the wind can hit it. James Provence was born in 1947, in San Francisco. After retiring from the Church, Archbishop James Provence decided to pursue his hobby of furniture making full time. The visco-elastic material that is the basis for the memory foam mattress adjusts itself based on temperature. The sleepers body heat and weight determine what parts of mattress adjust. As the temperature rises the mattress becomes softer and provides more comfort. 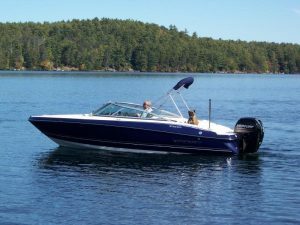 There are also reports of pain relief from body aches and soreness from the use of a memory foam mattress. This is due to the selective displacement of pressure along the surface of the body. As part of the pain coping mechanism, pain points tend to have a higher average temperature. This causes the mattress to adjust those specific areas. 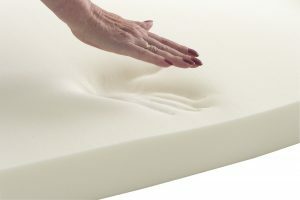 A memory foam mattress Canada will also help with better sleep by helping the sleeper maintain better spinal alignment. A lot of issues are related to the incorrect sleeping position. 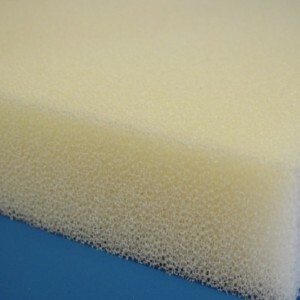 Those can be resolved to a great extent with the use of memory foam. The final benefit is that of allergy relief. These mattresses are made from inorganic fibers. This prevents the biggest source of sleep-related allergies: Dust-mites from growing. There is no biological matter for them to thrive on. Those are just a few of the many benefits associated with using memory foam. Some of these benefits are also associated with the use of a memory foam mattress topper on a regular mattress.